Accurate 3-way speaker system for excellent stereo imaging. 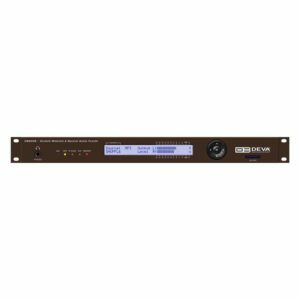 The new DB3012 – DAB/DAB+ Radio & IP Audio Confidence Monitoring Receiver is the ultimate monitoring tool – pace-setting, dependable and sophisticated. 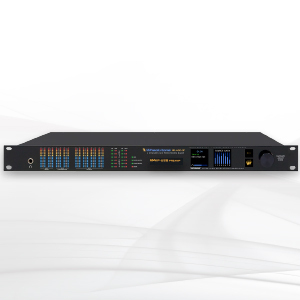 Designed to meet the latest trend in the broadcasting equipment industry – the Digital Audio Broadcasting Service, this product is your solution for near CD-audio quality, user-friendly operation and a wide range of outstanding features with the trademark DEVA guarantee of quality and functionality. Recently, radio broadcasting has been developing at a rapid rate bringing listeners audio with increasing clarity. One of the distinctive trends in the industry has been the Digital Audio Broadcasting Service (DAB) and DEVA is providing the market with a tool to fully meet the ETSI EN 300 401 DAB standard. Incorporating this latest trend and its own know-how in producing technological innovation, DEVA is proud to launch the DB3012, equipped with a high-performance 3-way speaker system that ensures outstanding sound reproduction. The unit supports AAC, AAC+, MP3, RTP and PCM IP audio codecs and is fully compatible with the most popular media platforms, Icecast and Shoutcast included. To facilitate its use, our engineers have created a tool that can simultaneously monitor both the DAB and the online stream. 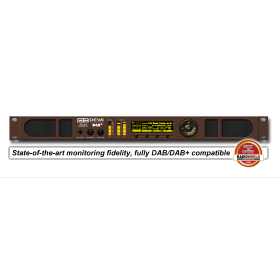 The highly-selective DSP-based tuner of the device allows the DAB/DAB+ and online stream of the station to be selected, monitored and listened to through the top-quality speakers or headphones. The signal is monitored and logged, while the DB3012 also measures and stores for future analysis the DAB signal quality and the Left & Right Audio level values. A standard FTP client ensures easy download of the collected data. 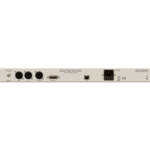 Furthermore, to bring you uninterrupted audio broadcast, the DB3012 provides local alarm options and online notifications via rear-panel alarm GPOs, E-mail and SNMP ver. 2C, in case of audio loss or change in the DAB signal and the Left and Right Audio Levels. This allows for a quick response on the part of your maintenance staff so that prolonged signal loss is prevented. One of the defining characteristics of each DEVA product is the useful combination of technical capabilities and easy control and set-up. Your DB3012 unit can be programmed through the front-panel menu, while remote access is granted through your PC, tablet or smart phone via a standard web browser; iOS and Android devices are also supported. A click is all that is needed for you to access the WEB interface so that you can listen to the DAB/DAB+ Station and online streams. A high-resolution OLED graphical display and three ultra-bright LED bar-graph indicators allow for easy reading of the main signal parameters. The front panel menu and the set of four soft buttons provide easy navigation through the menus and quick access to the device’s functions. 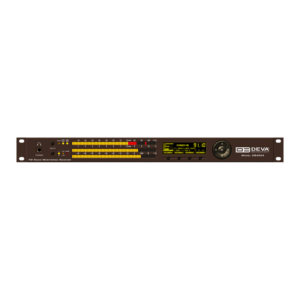 The DB3012 has been developed to bring you quality of sound in addition to ease of operation and programming. 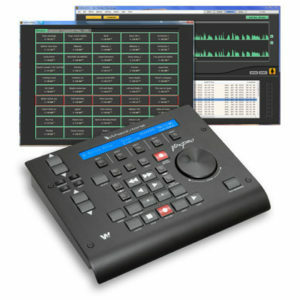 Fully compliant with the DAB/DAB+ standard, it is a guarantee of top monitoring performance.